Disclaimer: The following blog post is satire, except the last section (pay attention to that part). For centuries, scientists have researched the correlation between surfing, the sport of Hawaiian royalty, and peace, the pipe dream of overwhelmed diplomats. Last month, the groundbreaking discovery of ancient stone tablets in the Sinai desert left archeologists and surf bums alike believing that a connection is more than theoretical. I. Thous shalt hang 10 toes over your board, and never lift 10 fingers to make war. II. Thou shalt wear wetsuits, not armor. III. Thou shalt throw down your weapons and replace them with surfwax. IV. Thou shalt beat your swords into surfboards, and ride them in peaceful harmony. V. Thou shalt listen to the soothing cry of seagulls before paddling out in the waves. VI. Thou shalt find the sickest tubes and rideth them. VII. Thou shalt shred the waves, not shred each other. VIII. Thou shalt shape boards, not bombs. IX. Thou shalt smoke a fatty on the beach, and put away thine grenades. X. Thou shalt glide like a dolphin over the waves instead of fighting, bro. XI. Thou shalt catch wicked sets, not wicked hearts. There is no telling what the discovery means for diplomatic relations, however the surfing community is reportedly ‘pretty f)(*ing ‘stoked’ about the news. All joking aside, we really do believe that like languages, common interests can break down barriers. 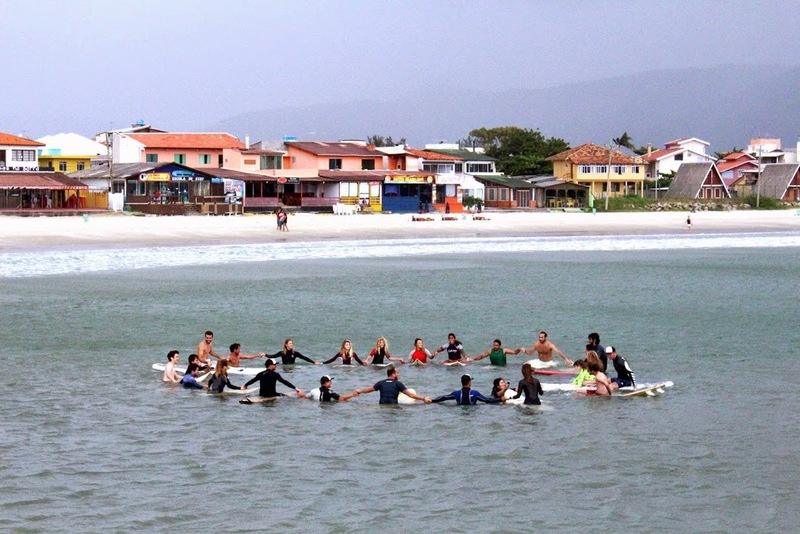 To that end, our partner association, Surferpourlapaix, is organizing a unique event next week. For the first time ever, representatives from Gaza, Israel, Algeria, Afghanistan, Morocco and Europe will surf together in the south of France. Your help for a good cause is greatly appreciated. Please spread the word! Check out their crowdfunding page here!